Dogs are born with pearly whites, but as they age, dog tartar accumulates causing unsightly stains on teeth, bad breath and periodontal disease. It’s natural for dog owners to seek out home remedies that will take tartar off a dog’s teeth as dental cleanings can be expensive and many dog owners are reluctant to have their dogs go under anesthesia for the procedure. While some home remedies may turn out being helpful, they seem to mostly work for mild cases only. It’s important to have your dog’s teeth checked out by a veterinarian before trying anything at home. A few hours after eating a meal, plaque, a soft substance made of food residue, bacteria and saliva, adheres to a dog’s teeth. Being soft at this stage, plaque can be easily removed from a dog’s teeth by simply brushing. However, failure to remove plaque within 24 hours, causes it to mix with minerals found in a dog’s saliva and harden. After some time, plaque eventually transforms into tartar which is quite difficult to remove and often requires to be scraped off by a veterinarian. Preventing plaque from turning into tartar is the ultimate best way to avoid gum disease in dogs. Brushing your dog’s teeth at least twice weekly remains one of the most effective ways to remove plaque before it hardens into problematic tartar. Feeding a raw diet can help control tartar as chewing helps remove plaque and tartar from teeth. Providing your dog with raw bones to gnaw on for at least 3 days a week offers many benefits, explains Will Falconer, a holistic veterinarian working for Vital Animal, The Natural Path in Austin, Texas. Raw bones clean a dog’s teeth, help maintain healthy gums and provide a good source of calcium and phosphorous in perfect ratios. Best of all, they’re safer and less costly than dental cleanings and provide dogs with something to keep them occupied, he further adds. Not all raw bones are created equal. Bones that are harder than a dog’s teeth such as beef, buffalo or bison shank bones may fracture a dog’s teeth which can be quite costly to repair. On the other hand, while raw chicken bones are safe to eat, they’re too soft to provide sufficient cleaning action. To provide valuable dental benefits, bones must be of the right consistency. If you’re trying to avoid regular dental cleanings under anesthesia, you’ll need to provide hard, but not too thick bones such as lamb or goat bones given twice a week, suggests Peter Tobias, a veterinarian based in Vancouver, Canada. These bones come from medium-sized animals and offer an optimal cleaning effect without risking dental fractures. Never feed cooked bones as they can splinter and even cause serious damaged to your dog’s digestive tract. Always monitor your dog when chewing bones because of the risk of choking or fracturing teeth. There are several over-the-counter oral sprays and gels on the market meant to soften and loosen up tartar and reduce inflammation. A clinical trial conducted by Dr. Marvin Sharp for TropiClean Fresh Breath revealed that after a two month trial, dogs affected by medium to excessive buildup of plaque and tartar experienced a reduction of 43 percent. According to a double-blind study conducted from June 1994 to April 1995 by the Head of Veterinary Dentistry, veterinarian Herald Pook of the University of Guelph in Ontario, Canada, the use of Leba III, a dental spray for dogs, significantly reduced plaque and calculus in younger dogs. Older dogs with heavier tartar buildup and gum inflammation showed a mild reduction in plaque and calculus. However, according to Pitts Veterinary Hospital in Lincoln, Nebraska, even though these products will soften tartar, it’s important to consider that, in some cases, manual removal may still be needed. Certain chew toys and dental treats for dogs are specifically crafted to provide dental benefits. These specially formulated chews are designed to reduce or remove the accumulation of mild tartar only. As with bones, you’ll need to be careful in selecting safe chew toys and treats as horse hoofs, antlers or nylon toys may fracture teeth. A good way to choose products that are effective in retarding the accumulation of plaque and tartar, is by looking for products featuring the Veterinary Oral Health Council Seal of Acceptance. For dogs with severely inflamed gums, extreme tartar buildup or infections in the mouth, a dental cleaning performed under anesthetic is undoubtedly necessary. Also, for some dogs, such as in the case of short-nosed breeds or toy breeds, dental cleanings are often unavoidable due to the way their mouths are structured. 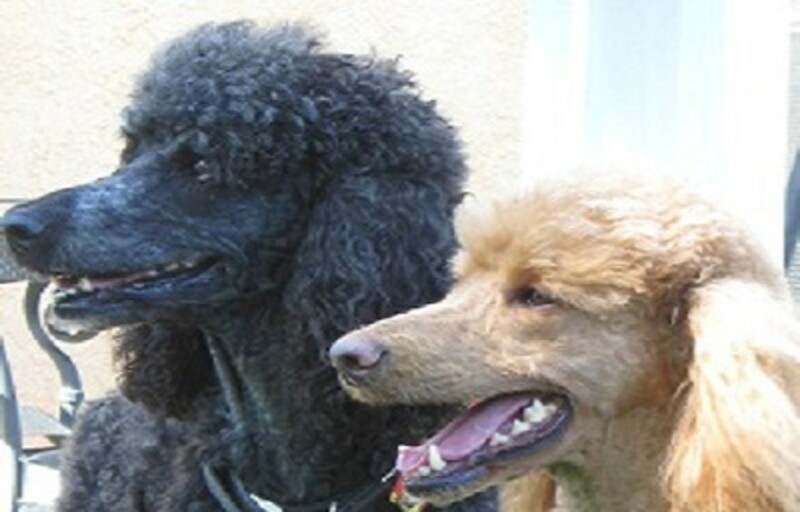 These dogs often have a crowding problem or their teeth are aligned in an abnormal matter causing plaque and tartar to accumulate no matter how vigorously these dogs chew, and the same may happen to dogs affected by chronic health conditions, explains Karen Becker, author and veterinarian at Natural Pet Animal Hospital in Bourbonnais, Illinois. Left untreated, bacteria from tartar can enter into the dog’s blood stream and cause serious infection to vital organs such as the heart and kidneys. Because of these risks, it’s best to have your dog see your vet for a thorough oral exam and recommendations. Dental cleanings are often necessary for your dog’s health, but they do not have to be scary. Understanding what to expect when your dog goes for a dental cleaning can help ease up your fears.